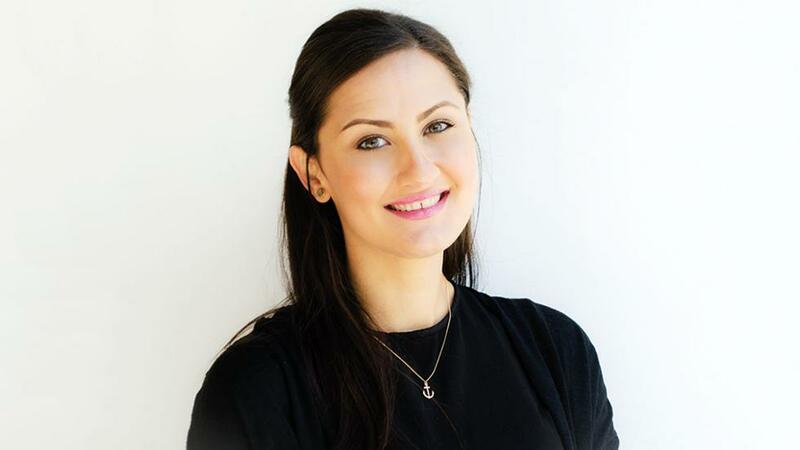 For two years, Carmen Strofer has been playing cupid to hundreds of extremely successful people from across the world while working with Ivy International, a UK-based matchmaking company that has offices across Europe, the US, and in Dubai. What has been her takeaway? Opposites most often don’t attract and you know a relationship will work within the first 30 seconds of meeting a person. What prompted you to take up this profession, Carmen? I always knew whatever profession I pursued would have to have a significant positive impact – not only in my life but hopefully in that of others. That strong desire to assist others in their paths to happiness lead me to both individual and family therapy, where most, if not all, of my educational background and professional experience lay, before arriving at Ivy International. When I came across Ivy and the field of matchmaking, I was incredibly fascinated. I guess I never considered that love, or lack thereof, would present itself as an area of concern or need for some, especially those who seem to have it all. How does it all start? What kind of people do you accept as clients? While all of our members are unique in their own way, they all share some common traits – they are highly successful in their respective fields, very well educated, worldly and financially independent. Our screening process begins with an initial phone call, where we answer any preliminary questions, and assess the level of interest, wishes and desires of the prospective client. We then carry out an in-person meeting and interview to properly assess the candidate and the real possibilities for success within Ivy. Since we would never provide a membership without having met the individual first, this meeting is a vital start to our journey. This also gives the prospective client the opportunity to get to know the person who is going to be representing them. Once we are confident that we can be successful in finding your soulmate within our private network or beyond, we take you on as a client. I’m sure your expertise comes at a cost. Can you give us a figure? Our fees start from 15,000 euros [Dh68,600], excluding taxes, for a standard membership. Executive and Premium memberships are discussed after a personal meeting. In your experience, what are some of the common qualities people look for in their prospective soulmate? Typically, people look for someone with similar interests and life philosophies as them. Since most, if not all, of our members have very demanding professional lives, they like to make the most out of the limited downtime they have. So they prefer to be with someone who shares their interests and passions, and someone who shares the same views for the future and expectations of a relationship as they do, for example marriage, starting a family, travelling, etc. Why do you think these highly successful people are unsuccessful in finding love and seek your help? Time is so precious today, especially for those with demanding careers. They lack the time to actively look for a partner, one who not only understands their world but can be a part of it. There is also the risk of [connecting with] people who don’t have genuine intentions . Meeting people is one thing, meeting the right person is an entirely different challenge. With social media and apps offering a platform for people to find a match, how do you think the service you offer is better than these options? I don’t believe we could really compare the two. Our service not only differs in approach, but has a whole human side to it that a virtual platform cannot provide. Your matches aren’t being selected for you by software, but by a dedicated matchmaker who strives to understand you as a person, taking into account your experiences, lifestyle, goals and philosophy, to not only select someone she believes you will like, but with whom you can build a long-lasting relationship. Quite often clients are not sufficiently truthful about the elements they are looking for in a partner, or are truly attracted to. In such cases we often have to spend a lot of time digging deep enough to really understand a client and what floats their boat. We instigate our clients to be as blunt as possible so that we know how to make things work for them. Combining that with figuring out what a client really needs is quite the task. But we enjoy such challenges. What are some of the most common deal-breaker factors you have come across? The two biggest factors are the desire to start a family and location. Some people want children, some don’t. Some want them right now, some no sooner than five years from now. This can be a definitive deal-breaker for our clients. We also need to take care when introducing international profiles to make sure that at least one party is open to relocation. Religion and physical appearance are also important factors, though on a lesser scale. Was there ever a case of love-at-first-sight? Love at first sight seems like a matter of fiction, but it did happen for two people we worked with. Since we can’t reveal names, let’s call them Mr A and Ms C. C joined the agency a few years ago. In spite of turning two encounters into successful relationships, she felt both were not fulfilling enough so she continued her journey to find the right man. Mr A had had a few unfortunate relationships, so was slightly sceptical to start his journey with Ivy. But once we introduced him to C, they hit it off almost instantly. In their first phone conversation itself, they realised that they were very compatible at cultural, social and intellectual levels, and it did not take too much convincing for Mr A to meet Ms C. They say that you know within 30 seconds whether you’ll like somebody or not, and in their case it didn’t even take that long. Soon the two were spending most of their free time together – and are still together.